This month's technique is called Watercoloring Technique! It's a really fun and you are going to see some really beautiful cards from the Totally Techniques Design Team! Well, I'm not master at this, but I try and am getting better! But I do love the Color Combo I ended up with - Calypso Coral, Mint Macaron, Basic Gray. I am much more comfortable with the Blender Pen, which I used for the stem and leaves. However, I did use the Aqua Painter on the flower, lightly coloring the flower in a light shade of Calypso Coral; then re-applying darker towards the center of the flower. 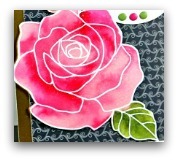 If you're a Stamping and Blogging Member, Sandi MacIver has a ton of different water coloring video techniques to show you.... step by step...and they are WOW!!! I stamped the Floral image with Staz-On Black ink. Then colored with the Aqua Painter and Calypso Coral. First lightly covering the flower in a lighter shade of Calypso Coral. Then apply more and more to the center of the flower for a darker look. Using the Blender Pend, the center is Crushed Curry but gets covered by Rhinestones! The Stem is in Mint Macaron. I also used the Aqua Painter and Mint Macaron to lightly shade around the stamped floral image, but intentionally letting you see the brush strokes. Then stamped with the background stamp in the You've Got This stamp set around the edges fo the focal panel, again using Mint Macaron. Matted the focal panel in Basic Gray. Stamped the greeting and matted with Basic Gray. 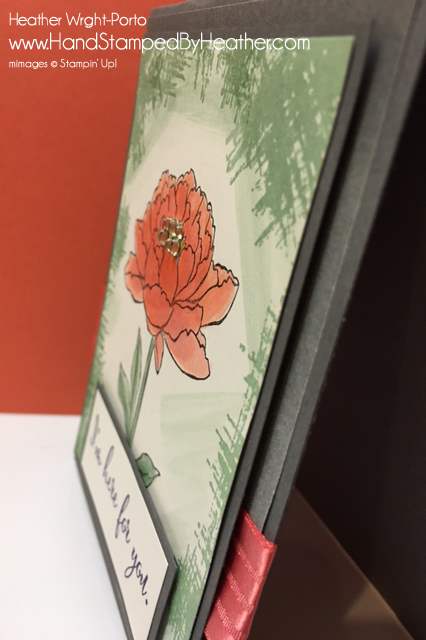 On the Card Base, which is Basic Gray, I adhered a 4 x 5-1/4 piece of the Perfectly Artistic Designer Series Paper in gray....it matched perfectly with the softness of the card. Let's go check out more masterpieces! Whooo-hooo!!! Enjoy! 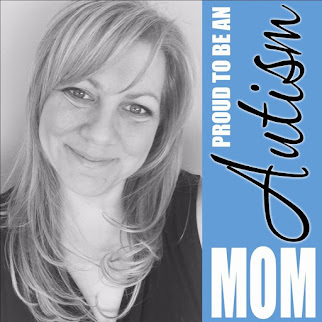 Heather Wright-Porto -- you are here -- Thanks for visiting me! The next blog on this totally awesome, Totally Techniques blog hop is Shannean Moncrieff! Want to learn more techniques? Then join us every month for Totally Techniques blog hop! This month is Water Coloring! The Floating Re-Inker Technique is a type of water coloring that Sandi shows off! Oh it's beautiful and the the March 2016 Card Class! So pretty Heather! Great colors and your watercoloring looks fantastic! beautiful job Heather, I love that stamp, and your water coloring is perfect. I just love this stamp set Heather. Amazing job of framing it out like you did. Love!! I love how you framed the beautiful flower. Great job on the watercoloring!!! Fabulous card my friend :-) really love the color combination. 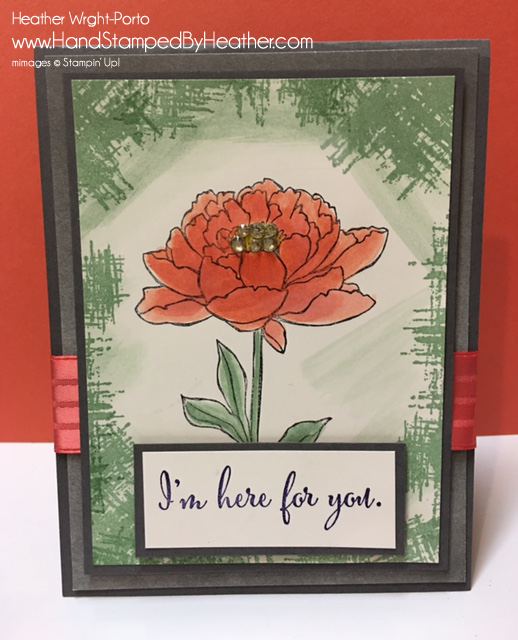 Your card and your watercoloring are just perfect! What a gorgeous card ! Congrats Heather !